Thursday mornings starting this week. And one week intensives for the end of July and mid August. Turning Earth E10 is our new centre in Argall Ave, a secret piece of the city sandwiched between Walthamstow and Clapton just near the new Lea Bridge Road station. The studio is one of London's beautiful hidden worlds, and a great space for a creative retreat. Working with clay has been proven to make you feel calmer and happier, and can create the space you need to change your life for the better (It worked for all of us). Through the class you will learn simple techniques to make ceramic work by hand and using the potter's wheel. Due to popular demand, we will be holding some one-week intensive ceramics courses during the holidays in July and August. We've crammed the content of our 12-week course - plus some extras - into a single week. It's a great way to get going in the craft quickly without the long term commitment of a weekly time slot. 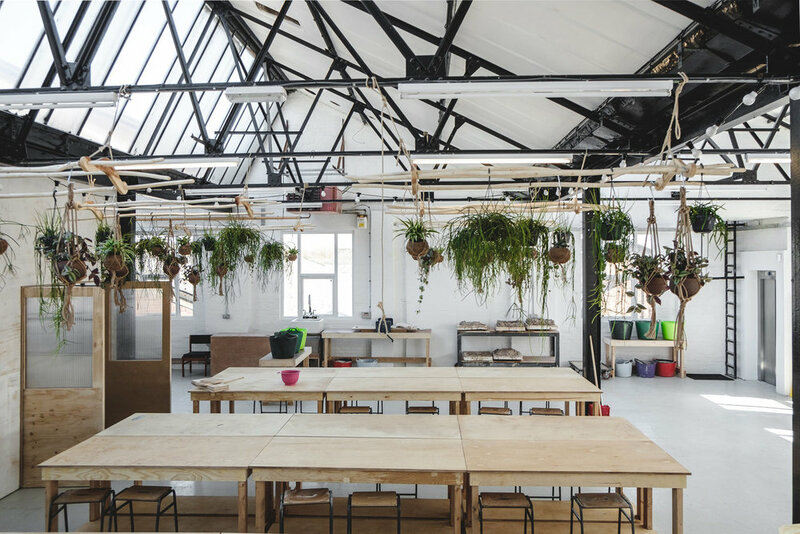 Plan a mini London 'claycation' and get creative in our beautiful East London studio. When you 'graduate' you'll have all the tools you need to become a studio member and come and go at times that suit you. Thinking of joining a course at Turning Earth E10? We've recently put a new set online and there's something there for everyone. Friday afternoons starting this week. And two one week intensives scheduled for August. Due to popular demand, we will be holding some one-week intensive ceramics courses during the August holidays. We made a video about In Production: take a look!